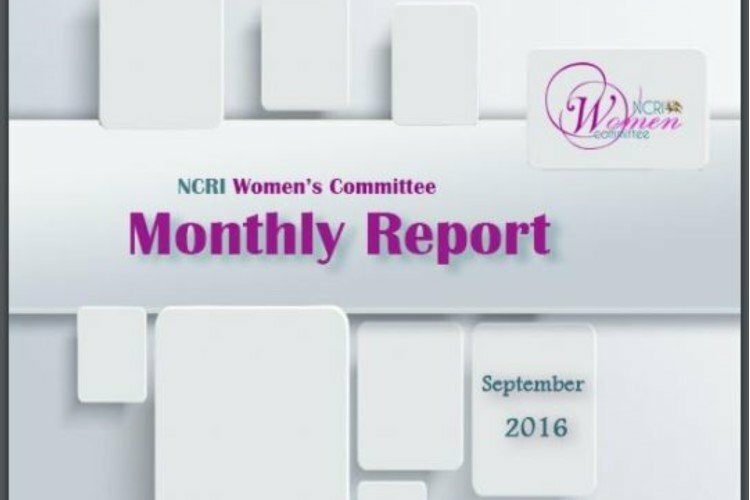 September was marked by two interventions by Ali Khamenei, the mullahs’ supreme leader, on the rights of women. The first time was on September 3rd, when Khamenei announced the general outlines of the regime’s Family Policy for all government agencies. He laid special emphasis on promotion of women’s childbearing and housekeeping roles and was explicit on their marginalization. In the meantime, all government agencies and universities launched their own campaigns to impose more restrictions on women. The Ministry of Sciences and Higher Education instructed all universities on September 6th, to form their committees to monitor female students’ observation of the mandatory dress code. A woman was executed on the morning of September 29, 2016, in the Central Prison of Orumiyeh (northwestern Iran), along with her husband and six other prisoners. Molouk Noori had been imprisoned in the women’s ward of Orumiyeh Prison. The number of women executed during Rouhani’s tenure thus amounts to 71. Arrests of citizens continued under various pretexts. September 5, 2016: Security forces raided a private party in Tehran’s affluent Niavaran district and arrested 26 young women and men. · September 6, 2016: Agents of the IRGC intelligence arrested six young women in Mashhad for modelling. September 16, 2016: State Security forces raided a private party in Rasht (capital of the northern Iranian province of Gilan) and arrested 30 young men and women. Tehran Appeals Court confirmed 16 years sentence for Narges Mohammadi, a human rights activist. Amnesty International condemned the verdict in a statement. Nazanin Zaghari-Ratcliffe, a British-Iranian citizen, who has been five months in jail, was sentenced to five years in prison. The verdict was issued on September 6, but Ms. Zaghari could inform her husband on Friday, September 9, 2016, in a telephone contact from prison. Nothing has been announced by officials on the details of her charges. Nazanin Zaghari was arrested on April 3, 2016, as she was about to leave the country. She had travelled to Iran with her child for a family visit. Tehran’s Prosecutor opposed extension of medical leave for Christian prisoner Maryam Naghash Zargaran and instructed her to report to Evin Prison on September 5, 2016. Ms. Zargaran suffers from a heart condition and needs constant medical care. She also suffers from ASD and has underwent a heart operation. She has been on hunger strike twice to receive medical care. Political prisoner Maryam Akbari Monfared was pressured for body inspection and spying on inmates by agents in Evin Prison, but she protested and refused to give in to such a demand. In mid-September, Maryam Akbari Monfared was told that she needs to be inspected before being transferred to Cellblock 209 (solitary confinement under Intelligence Ministry control). Ms. Akbari, however, refused to be inspected arguing that she had not ever left prison. Ms. Akbari, mother of three, has been in prison for seven years without any leaves. Her sister and three brothers were executed by the clerical regime in the 1980s for supporting the opposition People’s Mojahedin Organization of Iran (PMOI/MEK). Security forces have added to their efforts in collecting women’s clothes and sealing apparel stores. Semnan’s Prosecutor said it is a crime for women to wear clothes that do not comply with government standards. Heydar Asiyabi stressed that there are special laws as well as the Islamic Penal Code to deal with the issue of clothes which are against Islamic standards. The Minister of Science and Higher Education sent a letter to all universities instructing them to set up committees to monitor female students’ veiling and clampdown on women in universities. Accordingly, the universities are duty bound to prepare and submit a report every three months on their activities with regards to the student’s veiling to the Minister of Science. Tehran’s Beheshti University has set a disciplinary pledge for girls’ clothing in order to admit them to school. Girl students are required to sign pledges according to which they have to wear simple clothes and a certain type of shoes; they must not wear sports clothes, lively colors, hi-heels, boots, jewelry or perfume. The pledge also contains other details for the type of manteaux, hats, shawls, nail manicures, etc. which girl students are required to observe. Commander of the Special Unit of the State Security Force announced formation of a “women’s battalion” in the force. Hassan Karami said: The women’s unit would be working in the capacity of a police battalion and has received the necessary trainings. It has already started its work since some time ago. Karami said the women’s unit is deployed in emergency circumstances. Tehran Prosecutor’s third meeting on women’s “virtue and veiling” was held on September 7, 2016, in the Iranian capital. At the same time, Karimi, acting commander of Tehran’s Police, said that his forces had inspected 3800 shops and stores (selling women’s clothes), sealing a number of them and giving warnings to another 2000. The State Security Force issued a communique on September 21, 2016, setting new rules for wedding ceremonies which will restrict women and youths even further and prepare the grounds for making more arrests. According to this statement, hairdressers and barbershops are allowed to provide services to brides and bridegrooms only until 6 p.m. Wedding ceremonies must not be held in private gardens but only in places which have official licenses. Photographers and cameramen can shoot films and take pictures only until 8 p.m. Wedding ceremonies must end by 12 midnight. Halls and gardens are not authorized to keep the guests after this hour. Also, it is prohibited to have wedding convoys and sound horns in the streets. A number of Baha’ii women are imprisoned just for being Baha’iis. Ms. Yeganeh Agahi and Ms. Parvin Nik Ayeen were summoned to the Court of Isfahan on September 7, 2016, to be informed of their charges. They were charged with membership in the illegal organization of Bahaiis and acting against national security. Their bail bonds were increased from 400m to 1.2 billion toumans. The defendants were deprived of access to lawyer and none of their family members were allowed to attend the trial with them. Nika and Nava Kholousi are prisoners of conscience held in Vakilabad Prison of Mashhad. Together, they are sentenced to 10 years and six months imprisonment for believing in Bahaii faith. The two sisters were arrested in March 2014. Kajal Hosseini, a 38-year-old Kurdish student of computer sciences at the University of Tabriz, has been in detention of the Revolutionary Guards Intelligence for five months. Her family do not have information about her charges or conditions. Activist mothers and relatives of political prisoners managed to hold a memorial ceremony in Tabriz, capital of the Eastern Azerbaijan Province (northwest Iran), for the slain labor activist Shahrokh Zamani, despite threats of clampdown by the Intelligence Ministry. On September 9, 2016, a large group of women and labor activists gathered in Vadi Rahmat Cemetery of Tabriz to pay tribute to the late Shahrokh Zamani. A group of activist women joined Ms. Houri Golestani and her family, in celebrating the birthday of her slain son, Behnoud Ramezani, by the side of his tomb in Gharakheal on September 15, 2016. Behnoud Ramezani, a student of Mechanical Engineering at Noshirvani University of Babol, was slain on March 15, 2011, when badly beaten up by security forces. A cake in the shape of a guitar was placed on his tomb surrounded by flowers. Behnoud was a skilled guitar player. Activist mothers, who have lost their own children to the clerical regime’s brutal crackdown on youths, also issued a statement demanding justice for their loved ones. Ms. Mansoureh Behkish published on September 20, 2016, an account of her arrest and summoning at the airport, in which she reiterated that she would not give up her activities in defense of human rights and freedom, and that she is ready to pay any price for it. “On Friday, September 16, I was going to visit Ireland. Just like in 2009, the airport security forces initially stamped my passport so that they could drag me out to a secluded location where they can prevent my departure and send me back. On the first day of the opening of the mullahs’ parliament on September 25, 2016, a group of teachers gathered across from the parliament building to demand their rights. Gerash is a city in the southern Province of Fars. On September 27, 2016, members of the Education Ministry’s retired personnel, a considerable number of whom were women, held a protest rally. The number of protesters exceeded 2000. They protested bad living conditions, low income and retirement benefits in Tehran and provincial capitals. Similar protests were held in the provinces of Kermanshah, Isfahan, Zanjan and Kerman.